Let today be marked as glorious, for TLC has released new music for all the world to enjoy. 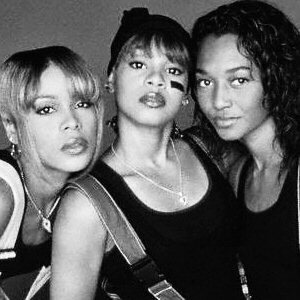 “Meant To Be” will be the single new track on the groups forthcoming greatest hits album, 20, and is also the theme song for CrazySexyCool: The TLC Story, a film chronicling the phenomenal trios rise to fame. “Meant To Be”, written by Ne-Yo, is an absolutely incredible song that conveys a sense of nostalgia. You cannot help but be taken back to the 90s, the greatest time period for music in my personally opinion. The song has been beautifully written and performed, and fans of TLC have simply been raving about it. CrazySexyCool: The TLC Story, is set to premiere October 21 on VH1, and 20, will drop a few days prior on October 15, and will include thirteen of their biggest hits. It is also being said that Chilli and T-Boz are currently working on a new album, which is due out in 2014. Obviously things won’t be quite the same without the amazing talent that is Left Eye, who is and always will be greatly missed, but I am glad that these two women are coming back to set the music world ablaze. You can listen to “Meant To Be” below. Tags: Chilli, CrazySexyCool, Left Eye, Lisa Lopes, Ne-Yo, Rozonda Thomas, T-Boz, Tionne Watkins, TLC, TLC Story. Bookmark the permalink.